One of the problems with most of today’s Bluetooth speakers is the lack of stereo separation. There’s a bit—if you sit or stand in just the right place, but just how much can you do with one physical unit? 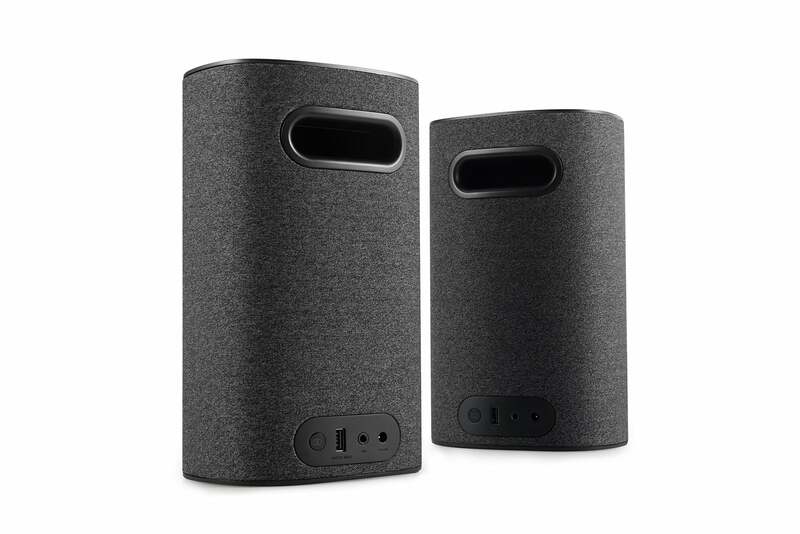 If you really want the vocal and instrumental field dispersion that’s the whole reason stereo was invented, you need to buy two Bluetooth speakers that can be configured as a stereo pair. 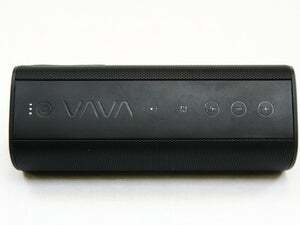 The VaVa Voom 22 deliver this via Qualcomm’s TrueWireless Stereo (TWS) technology. A pair of these are available on Amazon for $219.99, which isn’t completely out of touch with most users’ fiscal realities. And they sound so much better than any single unit, you’ll be glad you laid out the extra cash. 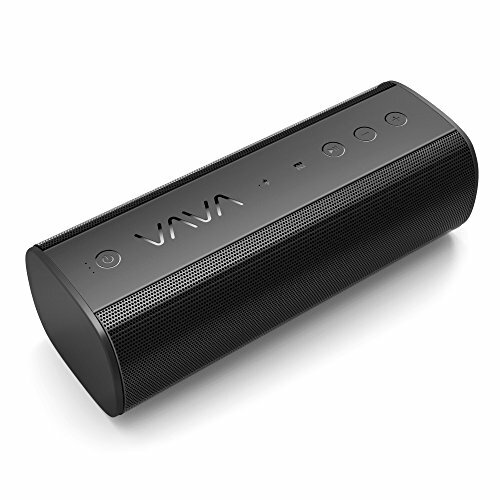 Setting up the VaVa Voom 22 pair is super simple: pull them out of the box, turn them on, press the Bluetooth pair button on either speaker and pair them with the device you want to stream from. The speakers arrange themselves into a stereo pair automatically. Alternatively, you can use the short 3.5mm audio cable and use the auxiliary audio or headphone output on the device. Two AC wall plugs are provided for powering and charging, one for each speaker. VaVa designs nice-looking stuff. Indeed, appearance was in no way the problem with its previous speaker efforts. The Voom 22 departs slightly from the company’s normal all-black motif with a dark gray cloth covering, which should tell you right off the bat that these speakers aren’t really designed for pool parties or hiking, but more for the bookshelf in the study or living room. 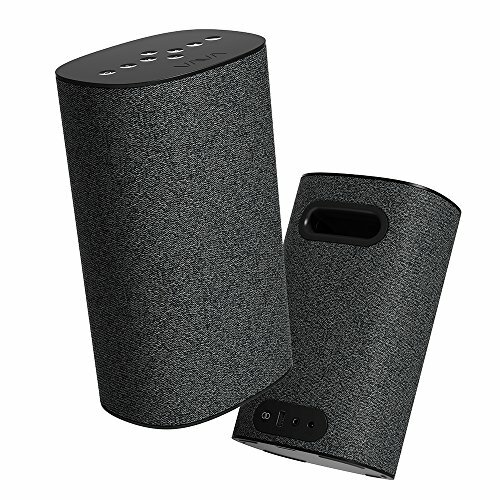 The Voom 22 speaker set is upscale in appearance and well built, but intended more for the bookshelf than the patio. That said, they are fairly light (around 5 pounds apiece) and portable and can also be used to charge your portable devices via the USB port on the back. Also on the back are an aux input, the AC jack, and the TrueWireless Stereo button (lit when TWS is enabled) that takes the unit out of TWS mode. In our hands on, it didn’t seem capable of enabling TWS, which required power cycling one of the units. Along with a port to increase natural bass response, each speaker features a TWS button, AC jack, and an auxiliary audio (3.5 mm) port. On the top of each speaker are eight buttons: volume up/down, skip forward/back, play/pause (which also hangs up calls), Bluetooth pair, on/off/battery status and “bass mode”. There are also three LED indicators that relate the battery, Bluetooth, and power status. The arrangement of the buttons is well thought out though the user’s guide is rather sparse in describing them. If you read our VaVa Voom 20 review, you’ll know we weren’t particularly kind to its emanations. How do the Voom 22’s sound? Pretty darn good. Having stereo separation makes them better than any single Bluetooth speaker I’ve heard right off the bat. There’s enough top end (barely), acceptable punch in the mid-range, and more than enough low end for most users, at least when “bass mode” is engaged. That last excepts subwoofer addicts such as advisory listeners Bridget and Luis. I thought the bass level was darn near perfect. There was the occasional extremely mild artifact from the wireless stereo, but we had to listen very hard to spot them. If other listeners noted anything anything amiss, it’s that the overall spectrum became a bit less lively as the volume increased. Distortion was non-existent to minimal to our ears at normal to loud listening levels. When we say loud, we’re talking reasonably loud—the 30-watt speakers can generate a great deal more volume than we were comfortable listening to. The speakers are more directional than many wireless speakers, but that’s to be expected in a stereo pair. Overall, sonority is not an issue with these speakers. We saw approximately 6 to 7 hours of battery life at relatively low, apartment-friendly volume, but your mileage will vary. The VaVa Voom 22 speaker pair is a much better product than the Voom 20. 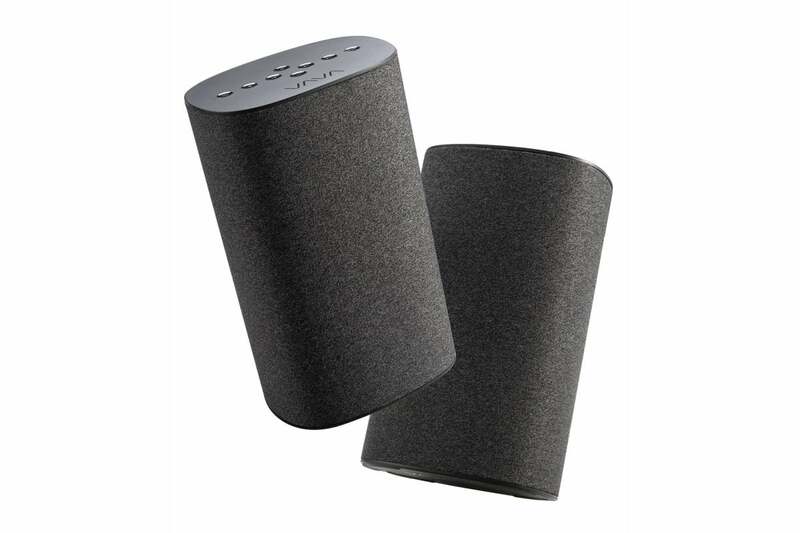 Considering the low price, excellent looks and good sound, we strongly suggest that you add it to your short list when shopping for wireless speakers. And really, stereo pairs are where it’s at for any type of even semi-serious listening. 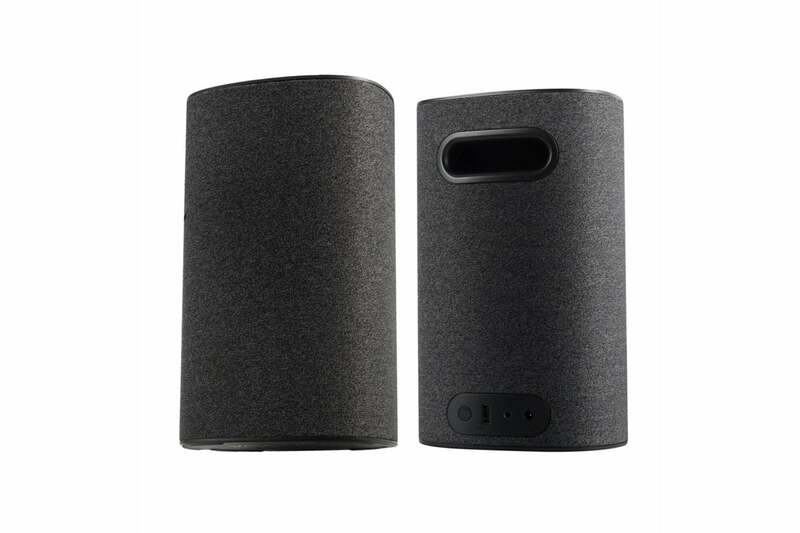 A true Bluetooth stereo speaker pair for not a whole lot of cash. Despite the low price, the sound is great and the looks are better than that. Good stuff from VaVa.